DeepSoul: Arthur Conley Sings of "Sweet Soul Music"
The 1967 classic perfectly summarizes what soul music is all about: emotion. Arthur Conley posed that question back in 1967 in "Sweet Soul Music," co-written with Otis Redding. A shoutout to R&B as well as artists Lou Rawls, Sam & Dave, Wilson Pickett, Redding, and of course the great James Brown, it encapsulates what soul is all about. Ranging from joy, sorrow, lust, and anger, soul music is about the gamut of human emotion. It can call someone to dance: "Out here on the floor now/We're going to a go go/Ah dancin' to the music," Conley growls. It is about looks, as Conley describes the dynamic duo of Sam & Dave looking "boss," but it's also about heartache--"singin' love's a hurtin' thing now," Conley says of Rawls. The "Wicked Pickett" sings of dance, of "Mustang Sally." And Brown? There's nothing more to be said, Conley sings, than "he's the king of them all." It made sense for Conley to pen and record such a tune, as he was deeply steeped in R&B. After dabbling in gospel, the Georgia native teamed with his father to cut "I'm A Lonely Stranger" in 1964. First released as a single on the Baltimore-based Ru-Jac label, it sank into relative obscurity until 1965, when a Baltimore promoter passed the single on to Redding, who was appearing at the Baltimore Theater. Liking what he heard, Redding recommended that Conley travel to Memphis to re-record "I'm A Lonely Stranger" for Stax Records. 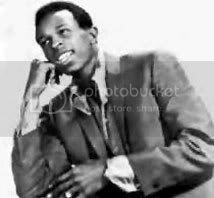 According to Soulwalking, Conley subsequently racked up nine Billboard hits from 1967-1970, with "Sweet Soul Music" being his biggest success. Although he continued recording and touring with the Stax/Volt Revue, Redding's tragic death--the loss of Conley's mentor--caused his career to stall. In the 1970s he lived in England and Belgium, eventually settling in the Netherlands. Conley changed his name to Lee Roberts and continued recording in the Netherlands under the name Lee Roberts and the Sweaters. He died in 2003 while still living abroad. Conley's chart success may have been brief, but his biggest hit leaves an important legacy in the R&B genre. At one moment in 1967, he provided an audial snapshot, or a "State of Soul" address to music fans. Its joyous rhythm, grunting vocals, and those funky horns summarize what soul really means--the complexity of the human experience. Revisit Conley's classic hit, available on greatest hits collections, Shake, Rattle & Roll: Sweet Soul Music, or through iTunes. For an energetic live performance, check out the 1967 clip below.